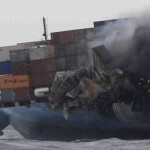 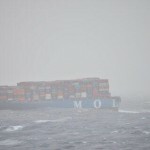 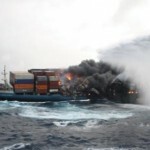 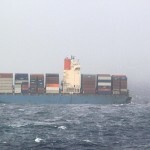 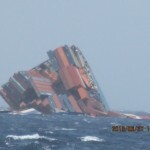 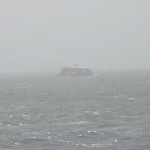 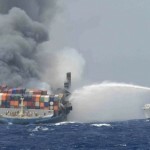 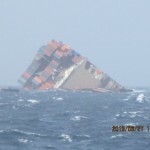 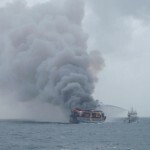 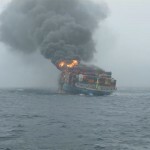 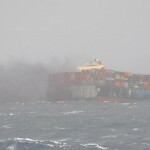 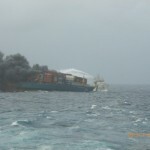 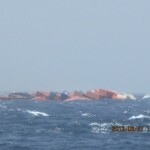 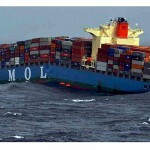 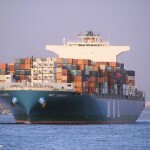 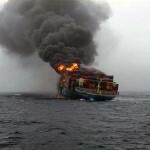 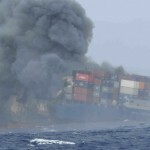 The fore section of the containership MOL Comfort sank in the high seas near 19’56″N 65’25″E (water depth about 3,000m) at 19:00 on July 10 UTC (04:00 on July 11 JST). About 2,400 containers on board the fore part of the vessel sank together, while some have been confirmed floating near the site. 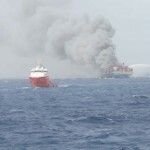 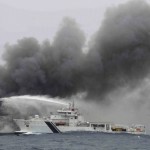 About 1,600 metric tons of fuel oil and other oil were estimated to be in the tanks of the fore part. 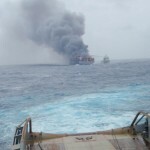 There is an oil film at the site, but no large volume of oil leakage has been observed at this moment. 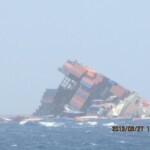 Mitsui OSK lines have reported the sinking of the fore part to the flag state of the Bahamas, Indian authorities, and other parties concerned. 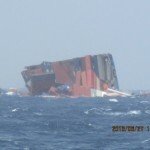 A salvage team was at the scene to monitor oil leakage and the status of the floating containers.